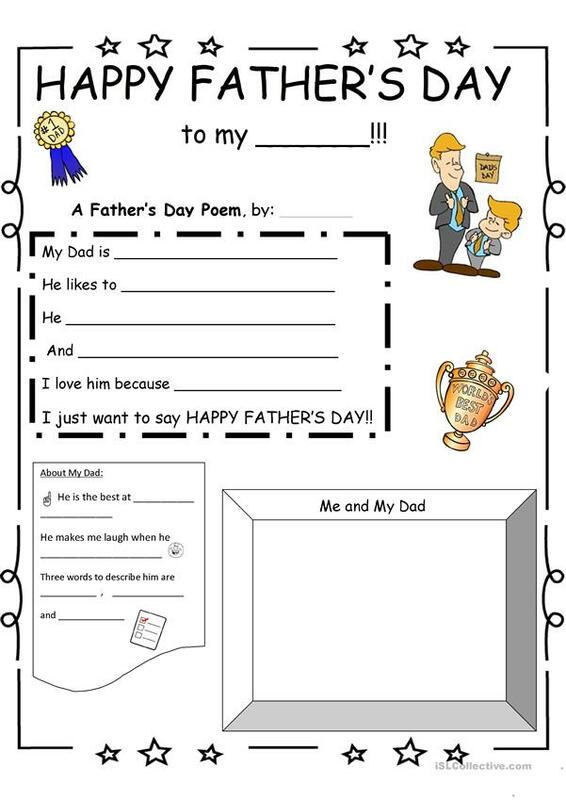 two worksheets, one for a girl and one for a boy to fill out things about their father´s for father´s day. 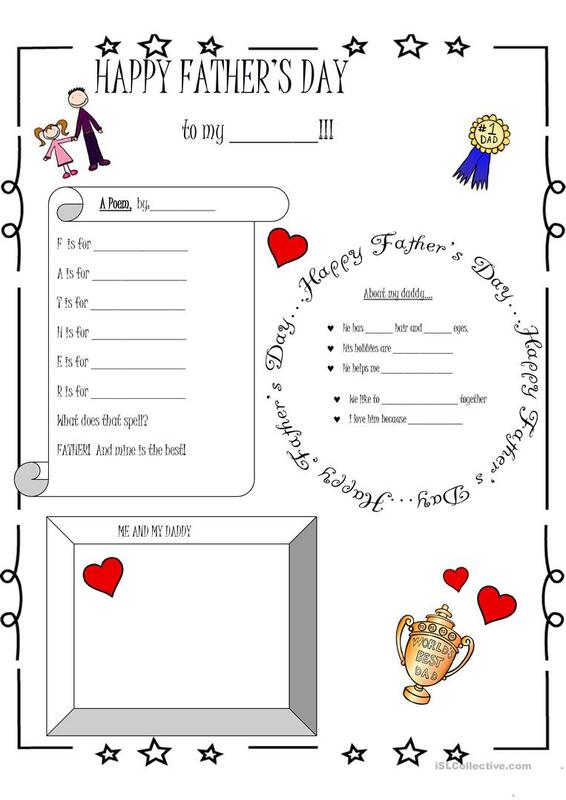 The above downloadable worksheet is meant for elementary school students and kindergartners and nursery school students at Elementary (A1) and Pre-intermediate (A2) level. It is a valuable material for improving your groups' Writing skills.